The State Department of Transportation has a design for the ship that will replace the Ferry Tustumena. The Tustumena has served communities in South Central and Southwest Alaska for a little more than 50 years. The ferry’s home port is in Homer and it regularly travels to 13 ports between Homer and Unalaska. DOT Deputy Commissioner Mike Neussl says the new design focuses on two key issues. First: to make the new ferry carry as many people and vehicles as possible. The second goal was to make it small enough and shallow enough to use all the docks and shore side infrastructure used by the Tustumena right now. “Both of those design criteria were put in. The design is complete but the process going forward is to get that design into construction, build a vessel, put it into service and replace the existing Tustumena on its runs with a new more capable vessel,” said Neussl. Neussl isn’t sure when construction will start on the new ferry or how long it will take. He says a vessel of that size typically takes at least two or three years to build. He says it depends on contract terms with the shipyard doing the work. “As a comparator, the Alaska Class Ferries being built out in Ketchikan….the construction period was intentionally lengthened to drive the cost of those ferries down. Instead of having three ship builders working around the clock to try and build it as fast as possible, you work on it at a slower pace,” explained Neusll. Neussl says none of those decisions have been made for the Tustumena and the construction contract has not been opened up for bidding. 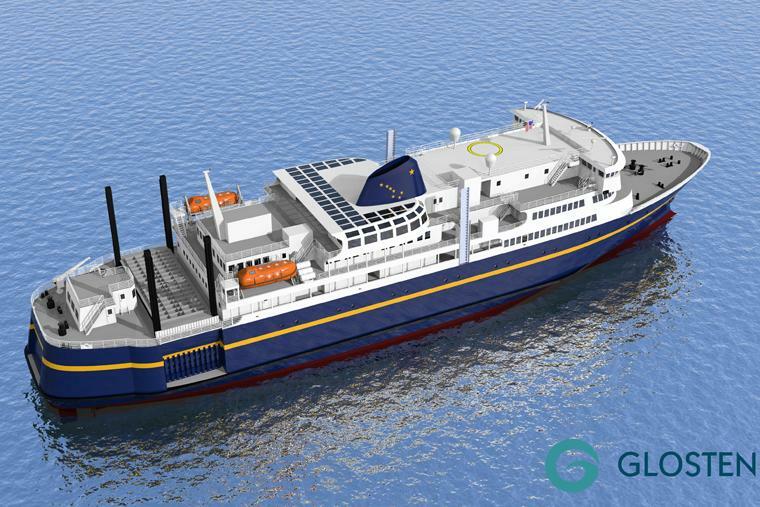 He says the new ship is estimated to cost around $237 million and between 90% and 91% of that money is expected to come from the federal government through Alaska’s Statewide Transportation Improvement Plan or STIP. “That is the mechanism by which all projects compete for those federal funding dollars from the Surface Transportation Act [Surface Transportation Reauthorization and Reform Act of 2015]. That provides millions of dollars for the State of Alaska for federal aid projects. Highway projects, marine highway projects [and] dock replacement projects…,” said Neusll. The rest of the money would come from the state. He says the vessel is listed among the projects seeking STIP funding but it’s listed in fiscal year 2019. “Which is quite a ways down the road. Our job now is to pull that forward through the amendment process to get it funded through that process and out for construction….hopefully sooner rather than later. That’s where the project currently stands,” said Neusll. Neussl says once the new ferry is built the old Tustumena will be sold to either continue sailing under a new owner or it will be used for scrap.